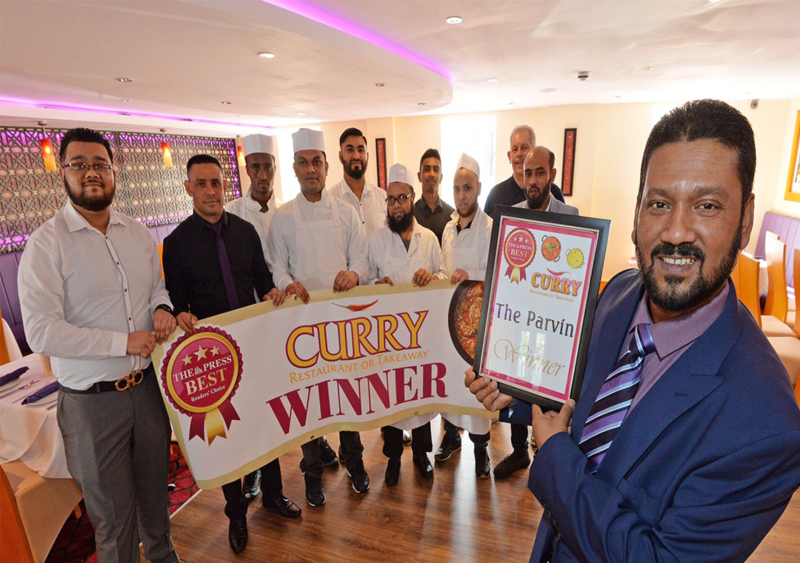 The Parvin was first established in 1992 with humble begginings as a takeaway located in Beckfield Lane, Acomb York. With the success and growth of our business, we then successfully opened up our current venture The Parvin Restuarant & Takeaway, Haxby York. 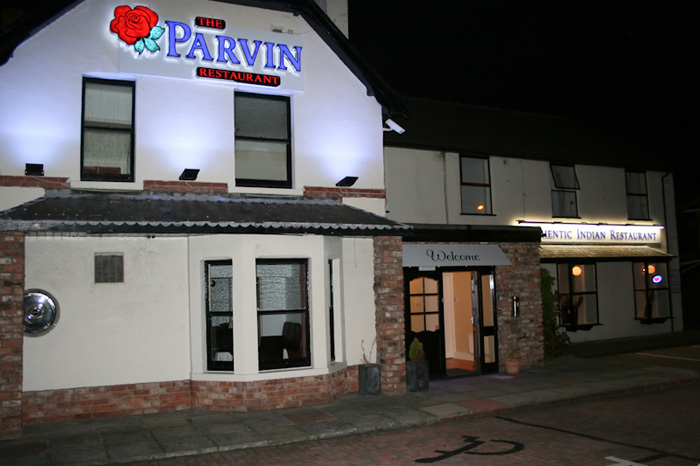 The Parvin Restaurant & Take away in Haxby, York specialises in the very finest Indian and bengali cuisine. Cooked, presented and served carefully by our team of highly experienced staff using only the finest and freshest ingredients. 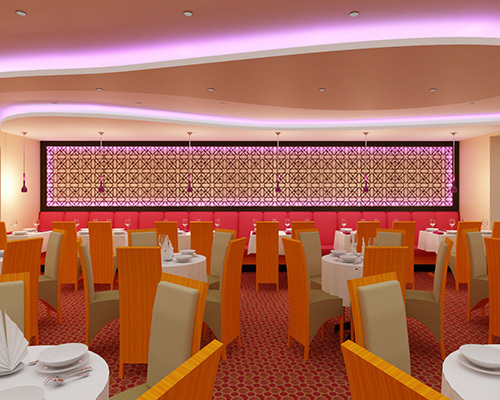 The Parvin stands out from other Indian restaurants through a large selection of extremly tasty and special dishes, our goal is to provide the best food, excellent service and a truly authentic experience. Our restaurant can cater for small and large parties alike making The Parvin the ideal venue for that romantic meal for two or that larger event, special occasion or celebration. Fancy a meal in? 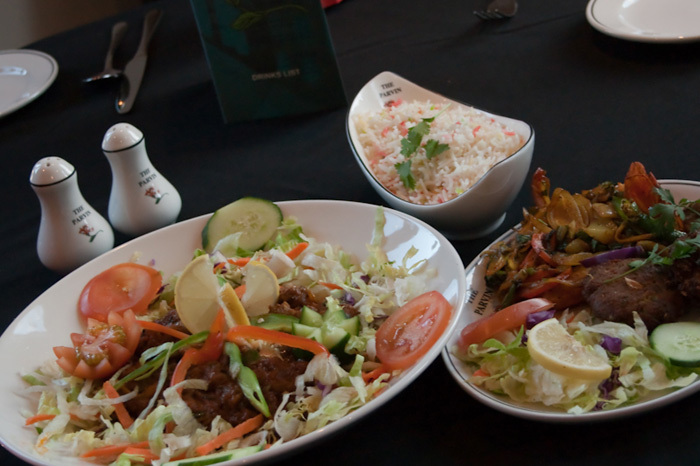 The Parvin at Haxby offer a take-away service so that you can enjoy the finest authentic Indian and bengali dishes in the comfort of your own home. After 25 years of providing York with high quality, authenic Indian take-away food from our Acomb branch, we are very proud to open The Parvin Indian Restaurant. The Parvin is located on the York Road in Haxby just a few hundred yards from the A1237 (North of York). We are located on a busy bus route to and from York City Centre and have ample free car parking to the front and rear of the building. 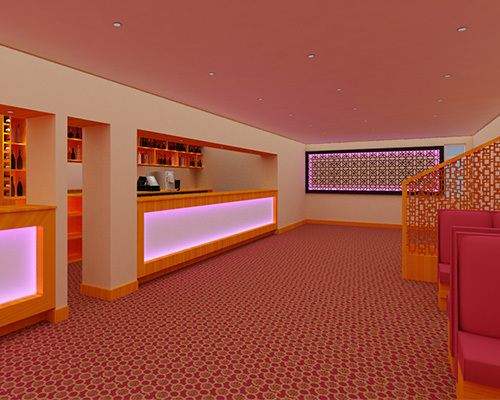 The restaurant is capable of seating over one hundred people and has a good sized bar area which is ideal for meeting the rest of your party beforehand. It's also a popular choice for relaxing with a drink after your meal. 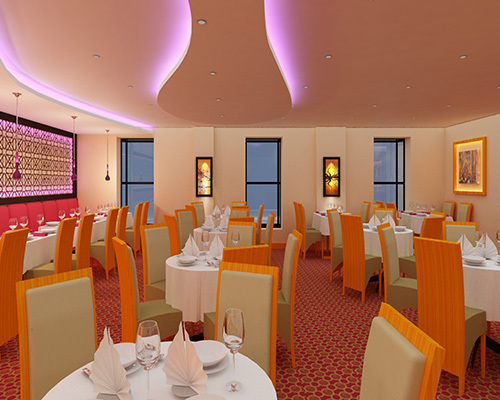 Why not try The Parvin Restaurant for yourself and experience the finest traditional and speciality Indian and bengali dishes, lovingly cooked and prepared by our highly experienced chefs. A take-away collection service is also available. Please see our online menu for more details and prices. We look forward to seeing you soon. From all the staff at The Parvin. Check out our charity curry/quiz night, held once a month. Pieces of Chicken or Lamb (off the bone), marinated in Parvins tandoori spices, freshly beaten Yoghurt with a touch of tamarind & charcoal grilled to perfection for a marvellous flavour. 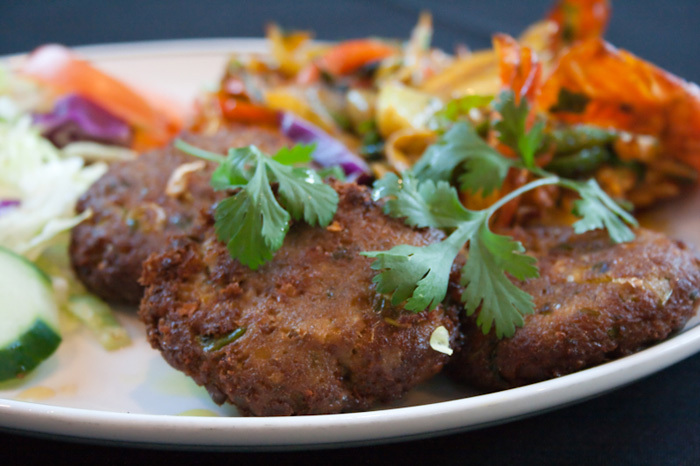 Lean minced Lamb, delicately spiced with fenugreek leaves, special herbs & charcoal grilled In the clay oven. Small sea prawns stir-fried in a Goan style, with finely chopped spring onions & tomatoes with Medium spices, Served with home made flat bread fried in clarified butter, Garnished with a slice Of lemon. Dried tender pieces of chicken breast flavoured with a tamarind sauce, Served with puree & a slice of lemon. Tiger prawn dipped in egg yolk and coated in breadcrumbs and deep fried. Pieces of tenderished Lamb, cooked with fresh garlic wrapped in flour bread, Served with Crispy green leaves. 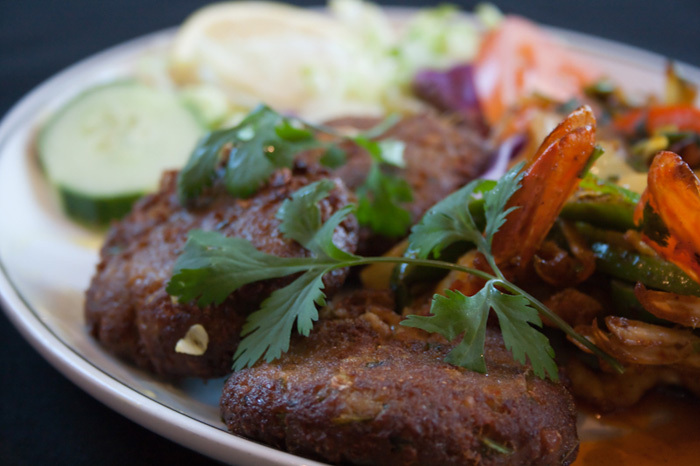 Beautiful King prawns cooked in special spices, Served with fried flour based bread. Chicken Tikka, Lamb Tikka & Shish Kebab served on a sizzler, Accompanied with Onion Bhaji,Mushroom Pakora, mint sauce and garnished with salad. Crisp spiced onion, deep fried. Triangle shaped, deep fried crispy spring roll, stuffed with a choice of fillings (as described above) Served with salad & mint sauce. 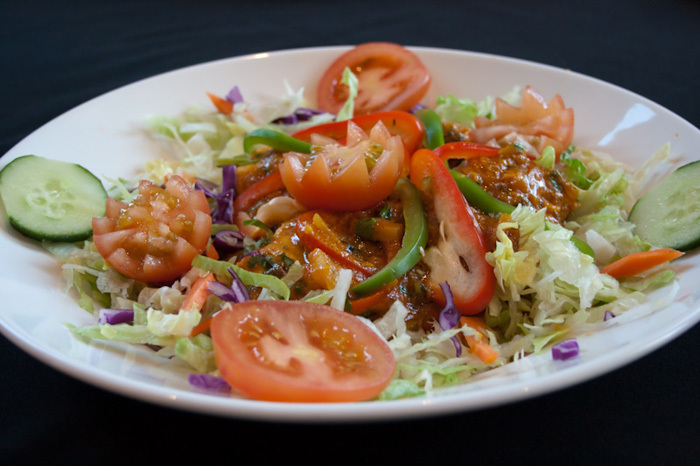 Bangladeshi fish, marinated with Parvins pioneering marinate mix. Fried on olive oil with garlic and served with crispy green leaves. Marinated in garlic, slightly spiced, shallow fried and served with crispy green leaves. Spring Lamb & chick peas cooked together with very special Jafrani spices. Tenderised & blended With Indian style batter. Deep fried. Served with salad & mint sauce. Aubergine dipped in plain flour with egg & garnished with fresh coriander. Cooked with garlic & ginger, diced onion, bullet chilli and green pepper. Served with puri. Diced boneless chicken marinated in spices and dipped in egg yolk, coated in breadcrumbs and Deep fried. Mango chutney, mint yogurt, onion salad and mixed pickle. We specialise in Balti dishes & highly recommend that you try this traditional curry which is cooked in a special wok with spicy cubed onions, Green & red peppers, thick curry sauce & our chefs own special recipe of fresh herbs & spices, together with a touch of Indian pickle. Medium hot to taste. Juicy pieces of chicken breast off the bone, marinated in herbs and spices, Charcoal grilled To perfection. Shanks of tender Lamb, marinated in home made yoghurt & slightly hot tandoori spices. Cooked in Clay oven. King Prawn on the shell or Chicken, slightly spiced cooked with garlic. Half spring chicken, marinated with delicious herbs and spices, barbecued in the clay oven. Barbecued peppers onions tomatoes & marinated Chicken or Lamb. Barbecued peppers onions tomatoes & marinated King Prawn. The famous chicken or Lamb tikka massala, found in most Indian restaurants, Prepared with Parvins special fenugreek & massala sauce mild in flavour. Chicken or Lamb, Very mild cooked with mango pulp & coconut milk. Juicy pieces of marinated Chicken or Lamb cooked in purified Indian butter, Ground almonds & mild spices with dash of cream to give a mild sweet flavour. Specially prepared Chicken tikka cooked with almonds & coconut flakes with a touch of butter & mild spices. Boneless tandoori Chicken cooked in a creamy buttery sauce made with almond flakes A touch of coconut, onions, cream & a touch of tomato paste to give a slightly sweet Buttery & creamy flavour. 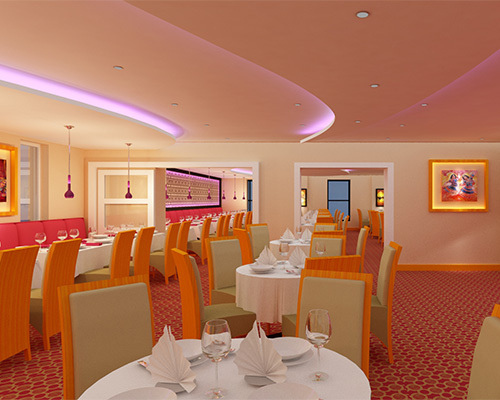 Tender pieces of Chicken delicately marinated in spices & cooked in a creamy mild curry sauce. Especially tender pieces of Chicken or Lamb cooked with panch pooron (five mix spice seeds) Shallots, green & red peppers, onions and specially selected spices to give a delicious medium taste. Especially tender pieces of Chicken or Lamb cooked with panch pooron (five mix spice seeds) And chef made very special tamarind sauce, Sweet and sour hot taste. This dish is cooked with a mixture of Chicken, Lamb, Prawn &mp; Mushrooms, Prepared with Thick curry sauce, Fresh fried garlic, onions and green pepper & medium spices. A fairly hot stew dish prepared with shanks of grilled Chicken or Lamb, gently simmered in a Yoghurt & mix pickle sauce, A superb Chicken or Lamb dish with plenty of strong flavours. 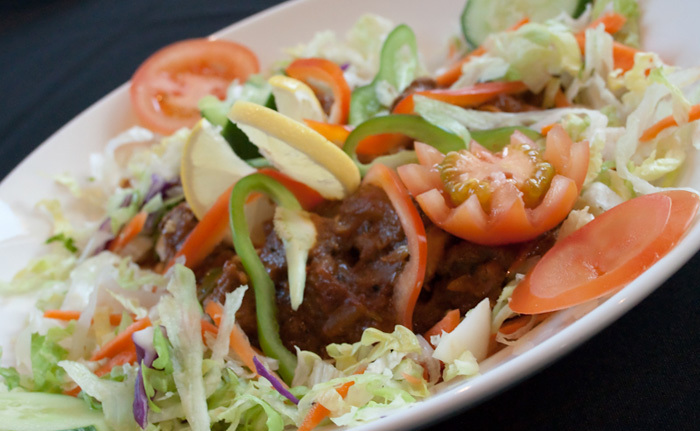 A traditional dish cooked with grilled off the bone Tandoori Chicken in a spicy thick curry Sauce, Medium hot. Chicken or Lamb Tikka cooked with plenty of sliced green chillies, green & red peppers & onions, Fairly hot spices & herbs together with a trhick curry sauce, garnished with Fresh coriander. Chicken or Lamb Tikka cooked deep pan style, with cubed onions, peppers & Punjabi spices. Medium strength. Marinated king prawns cooked with sliced onions, peppers & chillies, in a thick curry sauce. Fairly hot in flavour. A Gujrati dish cooked with chana dall & fresh lemon juice. Medium strength. Specially tender pieces of Chicken or Lamb cooked with steamed spinach & coriander. Medium hot. Arkan people live in the hilly south east part of Bangladesh, These people eat Lamb using the Hottest green chillie & calamansi, The dish is hot in strength. Chicken or Lamb Tikka cooked in a medium spicy sauce together with chick peas. Served in a sizzling Tawa, Garlic, ginger cooked with athick sauce (spicy) Bengali style. Onions, corrianda, garden mint, thick sauce medium spice, Asian style. With fresh prawns cooked with fresh cream, almond, coconut powder, honey authentic exotic spices and herbs, creating a mild and never forgotten taste. Specially prepared in the tandoor with lots of sliced garlic, fresh green chilli, spring onion, fresh coriander, herbs and spices. Fish fillet cooked with fresh herbs and spring onions in a Bangladeshi traditional village style cooking method. This is a traditional Janthapuri fish from eastern part of Bangladesh, Stuffed with garlic, black Pepper, red and green pepper & green chillies, A tribal dish cooked in a mustard sauce, Garnished with fresh coriander it is a superb massala fish dish. Giant Cox’s Bazari Prawn cooked using home made mustard sauce, green chillies & fresh yoghurt for a distinctive flavour. Roasted King Prawn in shell cooked with fresh herbs, lemon grass, spring onions, Medium taste. Stir fried dish cooked with Basmati rice and served with a side complement vegetable curry. Comprised of Chicken, Lamb, Prawn and Mushrooms. Comprised of Chicken tikka, lamb tikka, tandoori king prawn, mincemeat and egg. Very hot with lemon juice & steamed spiced potato. Fairly hot tribal dish cooked with coconut. Sweet & sour slightly hot cooked with salmon pink lentils. A very mild, sweet creamy dish cooked with coconut & almonds. Slightly hot, cooked with shredded onion, tomatoes & fresh lemon juice. Medium hot with a thick sauce, pan grilled tomatoes with fenugreek & Fresh coriander. Stuffed with almonds coconut and sultana. Basmati rice cooked with mincemeat, egg and peas. Basmati rice cooked with cashew nuts, sultanas and egg. Basmati rice cooked with fresh lemon. Basmati rice cooked with spiced minced meat. We cater for parties, special events, christenings and much more! Call us, pop in store or fill in the form below form to enquire!